I was invited by Prof. Peter Rodrigues and Dr. Mark Klaassen of the Institute of Immigration Law at Leiden Law School. 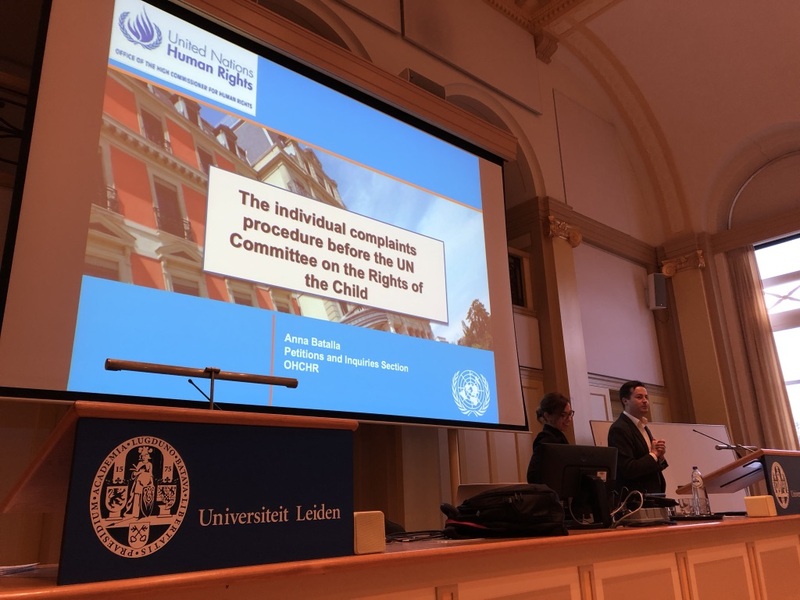 In June 2018, I also gave a lecture at Leiden University during a Summer School entitled ‘The Immigrant Child: Challenges and opportunities in international migration for children’ (see this blog post). Before the lecture of Ms. Batalla started, we had a meeting to discuss an academic article that we are currently writing together with Martin Vegter of Defence for Children about Female Genital Mutilation/Cutting (FGM/C) and asylum. 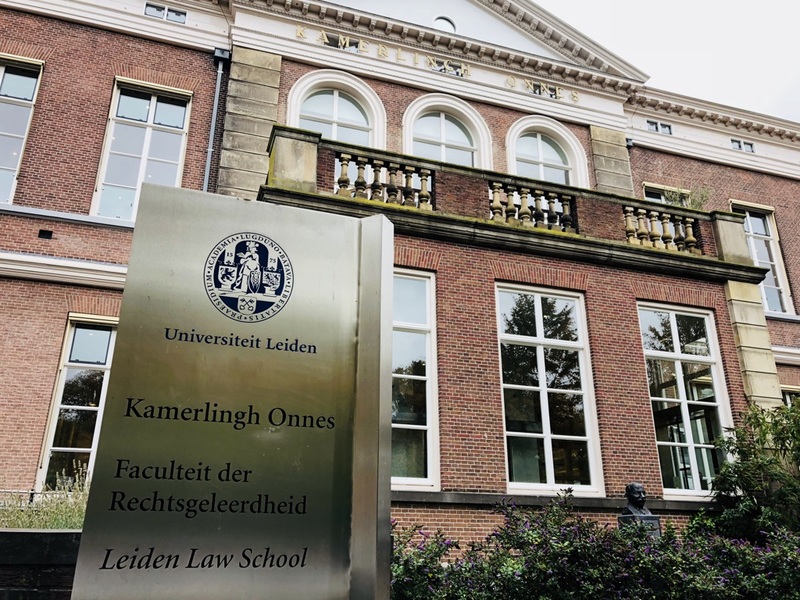 The lecture took place in the beautiful monumental Kamerlingh Onnes Building (KOG) of the Leiden Law School. Ms. Batalla started her lecture with the basics and explained how the individual complaints procedure before the CRC Committee works, including the different steps that have to be taken: submission of a complaint, registration of a complaint, communications between the parties, examination by the committee, publication of the decision or “views” and the follow-up. It is of course important that States have recognized the competence of the committee, that the violation occurred after the state recognized the competence of the committee and that the domestic remedies have been exhausted. States can recognize the competence of the Committee by ratifying the Third Optional Protocol on a Communications Procedure. Unfortunately, the Netherlands has not (yet) ratified this protocol. The Third Optional Protocol entered into force in April 2014. It currently has 51 signatories and 43 ratifications, which means that 43 states have recognized the competence of the CRC Committee. Ms. Batalla explained that the Committee expressed its views in three cases up to now, which were discussed in-depth later during the lecture. Apparently, the majority (between 70 and 80%) of the cases they receive are on migration issues. So far, the CRC Committee has registered 74 cases and there has been an increase in 2017. The full list of pending cases can be downloaded here and more information about the procedure for complaints by individuals under the human rights treaties can be found here. According to Article 5 of the Optional Protocol, Communications may be submitted by or on behalf of an individual or group of individuals, claiming to be victims of a violation by that State party. Ms. Batalla explained that the CRC Committee wants to encourage children to file complaints themselves. Classically, it are the parents or (legal) representatives who bring a communication or a complaint before the CRC Committee. She also quickly touched upon the Guidelines for Interim measures under the Optional Protocol to the CRC Convention on a communications procedure, which were recently adopted. They can be downloaded here. On a more practical note, Ms. Batalla explained that the CRC Committee meets three times a year in Geneva. The decisions or views are publicly available. The individual complaints procedure before the CRC is the youngest procedure compared to other UN Treaty Monitoring Bodies, but it is successful in terms of the number of the complaints they receive. Also, there is a possibility for friendly settlements through the mediation of the CRC Committee, but this didn’t happen yet. I.A.M. v. Denmark (Communication No. 3/2016): This complaint was brought by a Somali mother on behalf of her daughter, who complained that her removal to Somalia, where the girl would face a risk of undergoing Female Genital Mutilation/Cutting (FGM/C), would violate her rights under the CRC Convention. 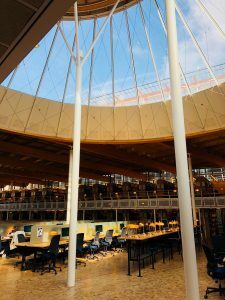 We had an in-depth discussion about the principle of non refoulement and the fact that the Committee considered that the Danish national authorities had not considered the best interests of the child. The Committee therefore concluded that Denmark violated the girls’ rights under Articles 3 and 19 of the Convention. I wrote a case note (in Dutch) about I.A.M. v. Denmark for Jurisprudentie Vreemdelingenrecht last year. N.B.F. v. Spain (Communication No. 11/2017): In Spain, there are apparently many cases in relation to non-accompanied children that arrived by boat in Spain. Their age needs to be determined (because they are better protected by children). According to the Committee, a medical bone test should be avoided, as these tests are inaccurate and it puts a burden on the child. Spain should instead check the validity of the documents. The Committee found a violation of Article 3 and 12. The burden to prove that a person is not a child, should be with the state and the child is getting the benefit of the doubt. Y.B. and N.S. v. Belgium (Communication No. 12/2017): This complaint was brought by the parents of a seven-year-old boy that was born in Morocco. Under a so-called Kafalah arrangement (kind of adoption/fostering), they wanted to take the boy to Belgium, but they were not granted a visa for the child and they had to stay with the child in Morocco. The boy was not allowed to travel and the family lived ‘together’ for 5 years. The Committee decided that there was a violation of Articles 3, 10 and 12 of the Convention, because Belgium didn’t treat the family as a family and urges the state to reconsider the application for a visa for the boy to ensure that the best interests of the child are guaranteed. Ms. Batalla explained that in practice the individual complaints procedure is a written procedure, although there is a possibility for oral hearings. So far, only the Human Rights Committee has conducted oral hearings with New Zealand. The reasons behind the lack of oral hearings is very practical, because UN Committees face the problem of a backlog and with the oral hearings the process is slower. In addition, they often do not have sufficient resources. After her presentation, there was time for a Q&A session, and students asked many different types of questions. This resulted in a lively discussion, in which Ms. Batalla explained the background of these cases and the views of the CRC Committee more in-depth. I also had the opportunity to ask Ms. Batalla how she sees the first views of the CRC Committee in light of the court cases before the ECtHR and the Committee Against Torture (CAT). All in all, it was a very interesting day in Leiden. I would like to thank prof. Prof. Peter Rodrigues and Dr. Mark Klaassen for their kind invitation!